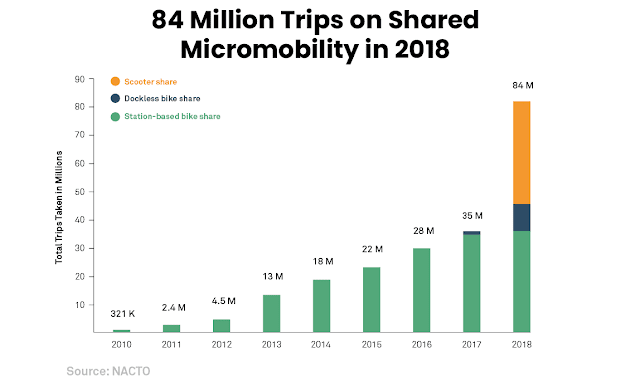 In 2018, people took 84 million trips using shared bikes and e-scooters in the US, an astounding growth in the past year largely due to e-scooters. This number and many other interesting stats come from a new report looking at Shared Micromobility in the US in 2018, recently published by the US National Association of City Transportation Officials (NACTO). Hat tip to Tim Papandreou. Jacqueline Klopp (Twitter) and Clemence Cavoli (Twitter) have a new paper reviewing some trends in transportation planning in African cities with a focus on paratransit. 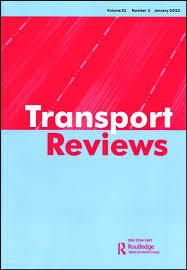 The paper also discusses why official transportation planning should engage with paratransit services and how this task can be supported through collaborative mapping projects that open new avenues for data accountability. The paper is open access (see link below) and it draws attention to DigitalTransport4Africa.org, an initiative working "to scale up these mapping efforts and promote open data and sharing, open source tools and exchange and learning between African cities to build local data infrastructure, eco-systems and local capacities". Thanks to this initiative, one can easily find for example the GTFS data of cities such as Nairobi, Maputo, Accra and Cairo and others. Jackie and others are working to build a similar initiative in Latin America and I hope I will soon bring more info about this. Stay tuned. Klopp, J. M., & Cavoli, C. (2019). Mapping minibuses in Maputo and Nairobi: engaging paratransit in transportation planning in African cities. Transport Reviews, 1-20. Often called paratransit because of their flexible stops, schedules and routes, minibuses make up the bulk of public transport in African cities. 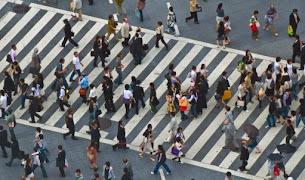 Despite their ubiquity and importance, these systems are poorly understood by transportation planners who tend to focus on large-scale urban infrastructure projects such as highways, commuter rail or bus rapid transit systems. The assumption within much of this planning is that these minibus systems are barriers to change and will become at most secondary “feeder” buses within large-scale projects, but structured plans detailing this vision are lacking. This paper argues that frequent failure to collect data and value important paratransit systems as a critical part of transportation in their own right is deeply problematic from the point of view of equity, access and inclusive and effective planning. We ask whether the growing number of bottom up mapping projects of minibus systems can disrupt this status quo. By comparing two mapping projects, Digital Matatus in Nairobi and the Mapa Dos Chapas in Maputo, we find that inclusive, collaborative mapping can help render these minibuses more visible in planning and provoke more grounded and inclusive “planning conversations” on multi-modal integration, passenger information and minibus upgrading, all key but relatively marginalised aspects of creating accessible, low emission, high quality and safe public transport in African cities. I am very pleased to share that my PhD thesis was awarded the best 2019 thesis award by the Transportation Geography Specialty Group of the American Association of Geographers (AAG). I am also very honoured that I was nominated a board member of the specialty group. If it could be of interest, my thesis is available for download here and I've created a GitHub repository with the R code used in the data wrangling, mapping and analysis in the thesis. Some of the chapters in the dissertation have been published as papers here, here and here (+ this other one currently under review). I am very grateful for the the support from my partner Fabiana, from the Institute for Applied Economic Research (Ipea) and to the invaluable guidance from my demanding tireless supervisors Tim Schwanen and David Banister. ps. the blog has been less active than usual in the past weeks because I was away attending the AAG annual meeting to receive the award and to present this paper here. Just a few years ago, Katie Bouman (then a PhD student at MIT) presented this TED talk about the massive collective research effort involved in the Event Horizon Telescope Collaboration. Three years latter, today, this collaboration announced the first-ever picture of a black hole. Katie led the creation of a new imaging algorithm that helped make this possible. 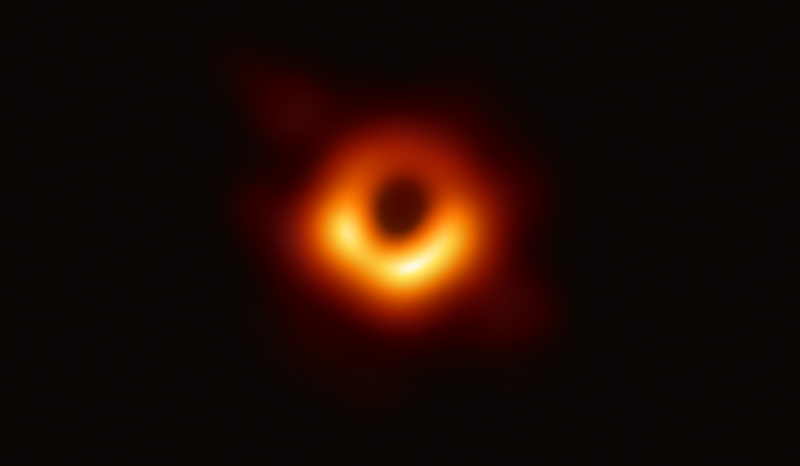 Yep, they have found a way to register the image of a black hole that is about 55 million light years away from Earth. The method is truly inventive, involving an array of telescopes across the globe, atomic clocks, cutting edge machine learning and more than 5 petabytes of data. You can see more about it in this short video or in the public announcement made today. I know this is a bit off-topic in this blog but my inner nerd child is too excited to let this one pass. This is a big day. 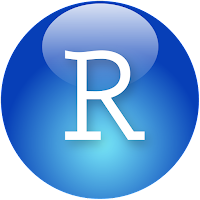 For those interested in public transport research and planning, there is a new R package to do public transport routing using GTFS data. The gtfs-router package uses the power of C++ and it is quite efficient. This is only the release version of the package (0.01), though. There is a lot of room for improvements but I hope gtfs-router becomes a strong competitor to OpenTripPlanner in a couple of years. The package was created by Mark Padgham (twitter), who is the author of/contributor to various other transport-related packages such as dodgr, bikedata and osmdata. Kudos to Mark! ps. The capabilities of R for transport research and planning are greater than never. There is a very vibrant and active community with dozens of other packages. Perhaps this should be the topic for a future post. Today we are having Dani Arribas-Bel (Geographic Data Science Lab, University of Liverpool) presenting a seminar at the Institute for Applied Economic Research (Ipea). Daniel (website, Twitter) will be talking about his research agenda on "Infusing Urban and Regional policy with Geographic Data Science". The seminar will start at 3pm (local time). My apologies this post comes in short notice. This week has been hectic. Daniel is part of the development team of PySAL and he is a prolific researcher and also a great enthusiast of open data/software and research reproducibility. In fact, many of his papers (code and data) and teaching material are available on his Github repo. 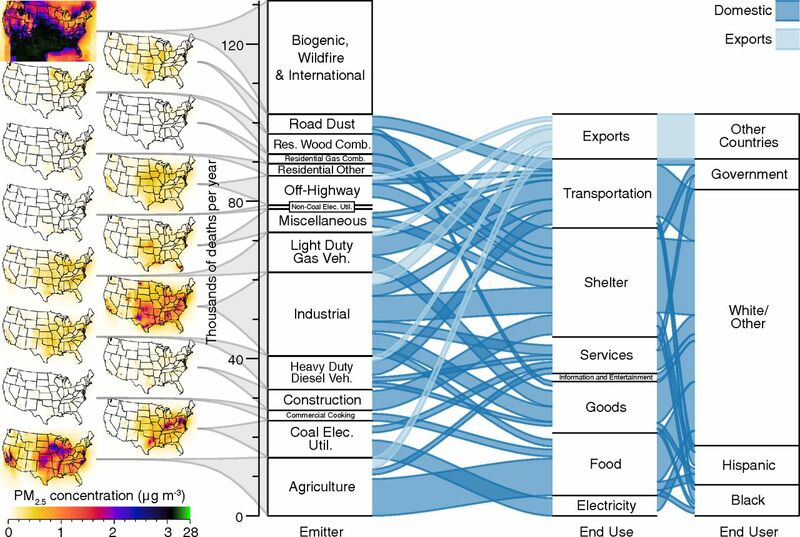 The recent explosion in availability of new forms of data poses significant opportunities to how we analyse cities and regions, both in academic and policy contexts. Over the last decade, three families of data have emerged in this context. One is digital traces of individual activity. From credit card transactions, to mobile phone calls, to thoughts and feelings we decide to share through social media, more and more bits of our life are being stored digitally as data that a computer can understand. The second comes from an increasing number of sensors, from traffic controllers to nano-satellites orbiting the Earth, which are constantly recording information about the environment. The third one has existed for longer but has not been available until recently: a few years ago, governments started releasing data on their internal operations that used to be parked in (closed) silos. This presentation will walk through several examples where new forms of data are applied to tackle new questions or obtain new perspectives on long-standing challenges of regional and urban analysis. As part of this whirlwind tour, we will also spend some time trying to understand what the main challenges, methodological advances, and risks that "accidental data” pose are, and will emphasise the tremendous opportunities they unleash. In previous posts, I've pointed out to an incredible open dataset with comprehensive population estimates of human settlements and cities for the past 6,000 years. The talented John Burn-Murdoch used some of these data to create this nice animation showing the changing ranks of the 10 largest cities in the world since 1500. The full code for the animation is available here. Mike (from cool but useless) asked on twitter if there is any package in R with with lats/longs of lots of cities. In fact there is. Here is a simple code to create a world map of cities with population larger than 40K in R using maps::world.cities and ggplot2. ps. These population data in the maps package refers to 2016 estimates. If you want city population data from previous years, you might remember that we have previously posted about this open dataset with 6,000 years of global urbanization. 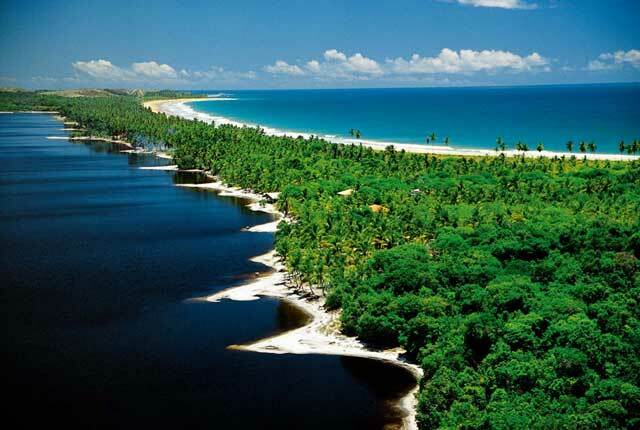 It's Carnaval season in Brazil and I'll be in small fisherman village mostly disconnected. The level of activity in the blog will remain lower than usual this week (my Twitter is probably be less affected though).